Kelsey and James' wedding was very lush, green, wild and textured in a palette of blush and sage green. 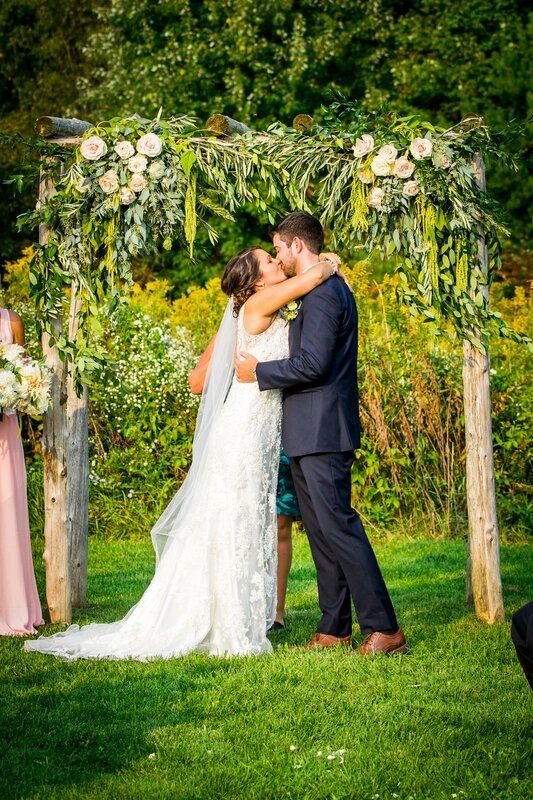 The arbor was constructed of mostly greenery to give a natural and organic feel featuring rosemary, eucalyptus, italian ruscus, green hanging amaranth, olive branches and queen annes lace. Lovely Cafe au Lait dahlias, juliette roses and delicate succulents were featured in the bouquets and arrangements.